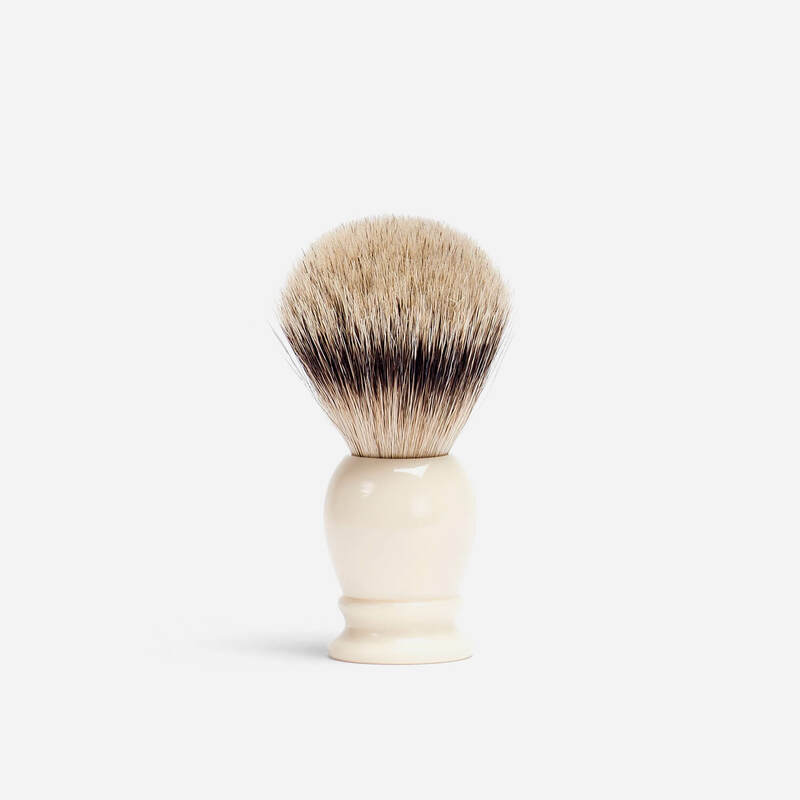 Silvertip badger hair shaving brush with a solid faux ivory resin handle. 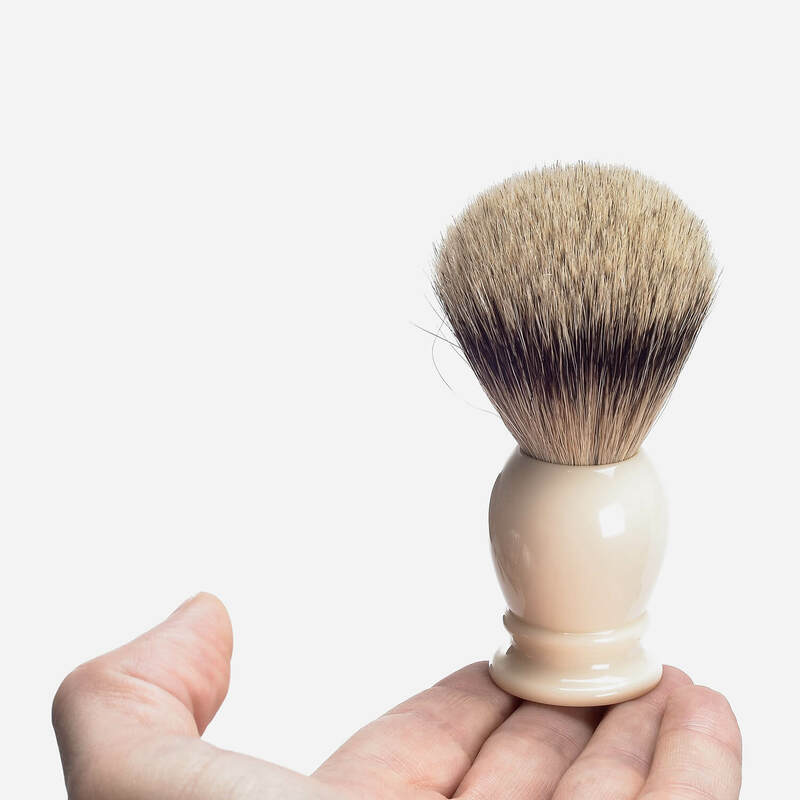 Hand-filled silvertip badger hair shaving brush with a polished solid resin handle. 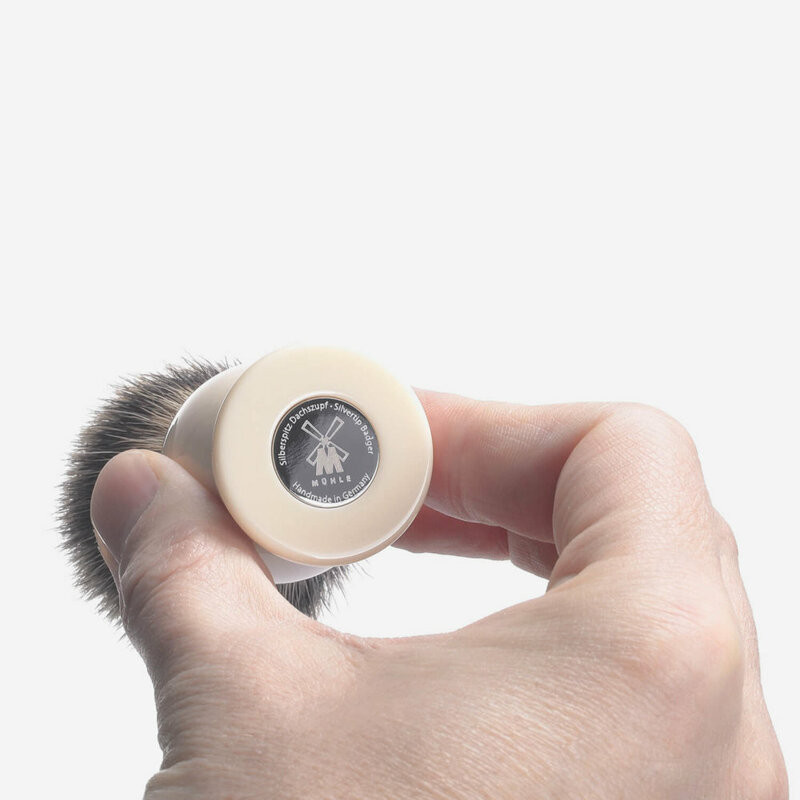 Silvertip badger hair is soft at the tips, making it gentler on the skin than stiffer badger hair grades (best and super), but it still retains large amounts of water for easy lathering. Made in Germany by Muhle.